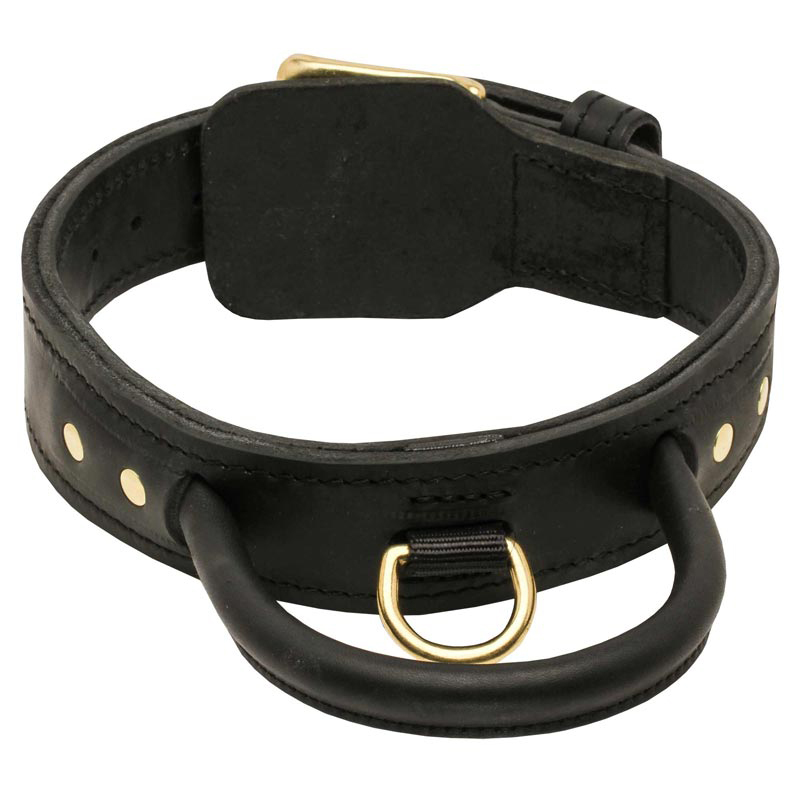 Made of ecologically clean materials, this Dog Collar is safe for your Rottweiler’s health. Full grain genuine leather is oiled and waxed to prevent its wearing out. 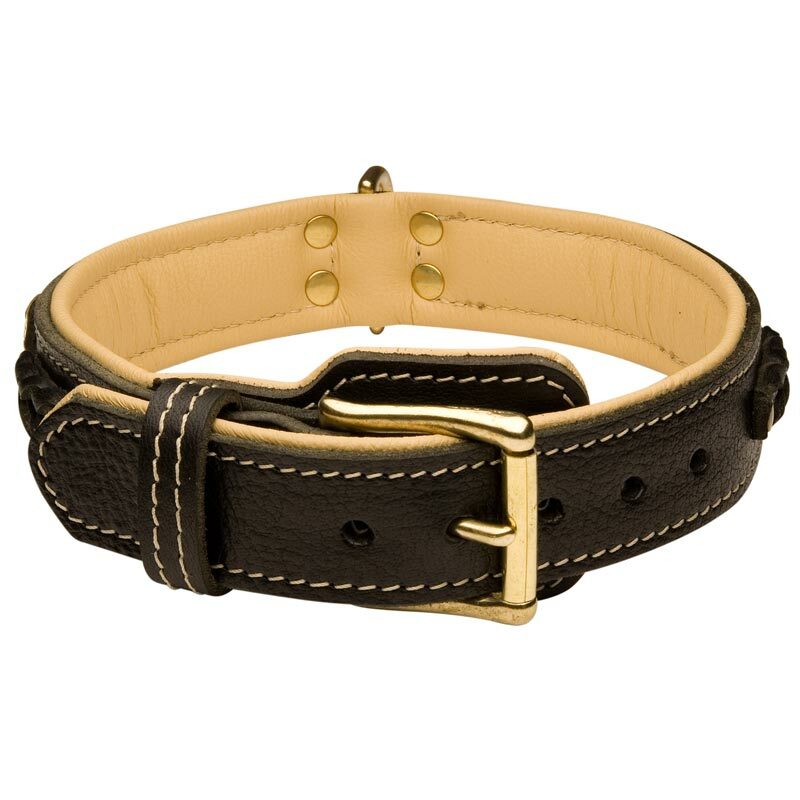 Also the Collar has special D-ring for leash attachment which helps you to control your dog better. This dog supply is very comfortable for wearing. 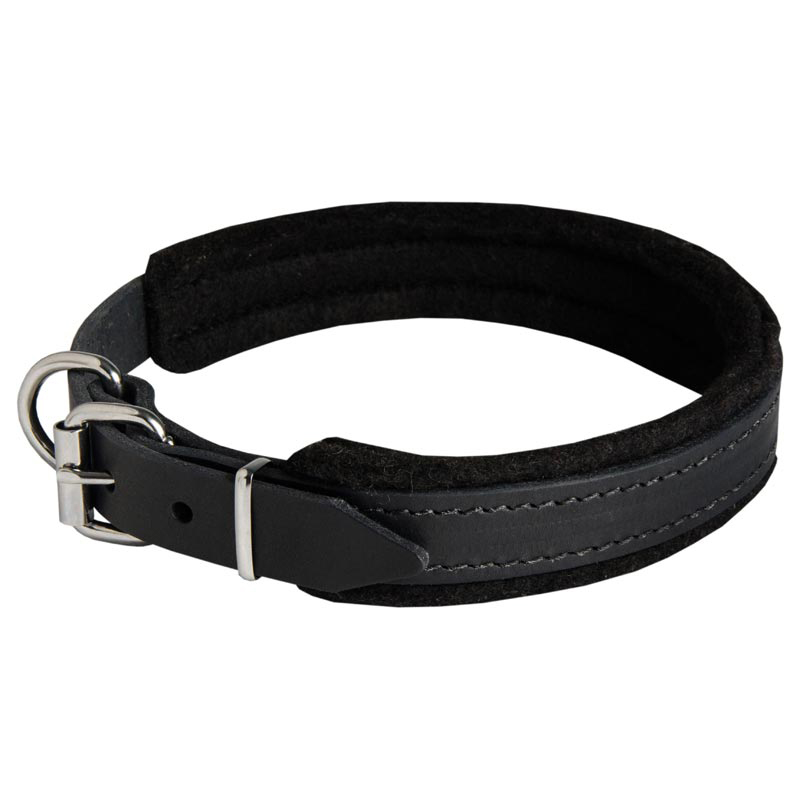 It definitely protects your dog’s skin and fur thanks to soft thick felt padding. All the fittings are also harmless for your pet, because they are protected from rust and corrosion and reliably riveted to hold forever.